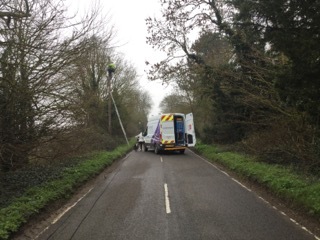 High Ditch Road was closed on Sunday morning to repair overhead phone lines. 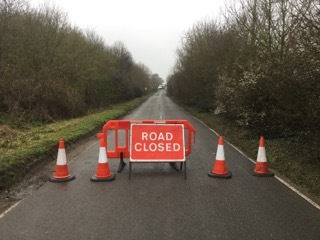 On site engineers estimate the road will be open early afternoon. 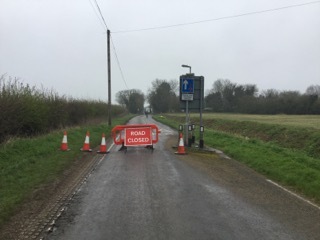 It was amazing how quiet it was for the walkers along High Ditch Road, but the same cannot be said for Ditton Lane where traffic had been diverted. Well done to an enterprising resident who took the opportunity to cut back some of the overgrown hedgerow on the approach to the bridge.